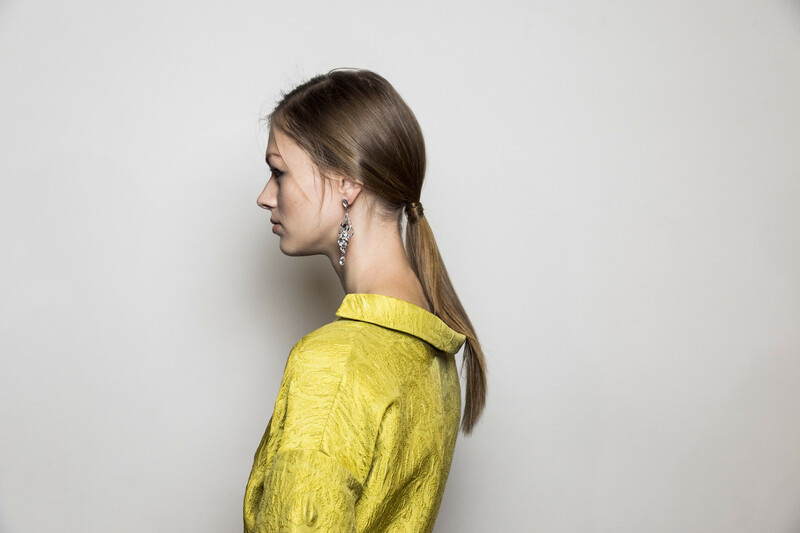 At the Hellessy AW2017 show at Highline Studios in New York City, whimsical dresses were complemented with long, flowing ponytails. 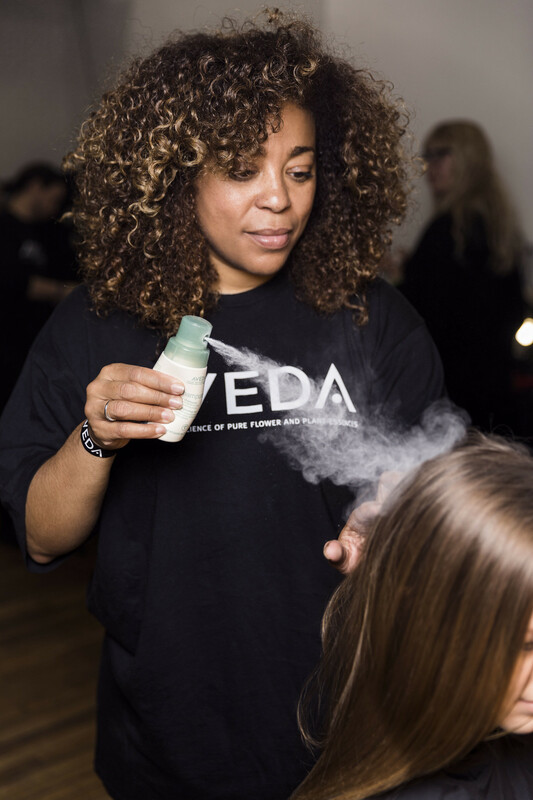 Aveda Artist, Tippi Shorter, used Aveda Shampure™ Dry Shampoo (with an aroma with 25 pure flower and plant essences including certified organic lavender, petitgrain and ylang ylang) to absorb excess oils and impurities and to achieve a soft style that swings beautifully on the runway. 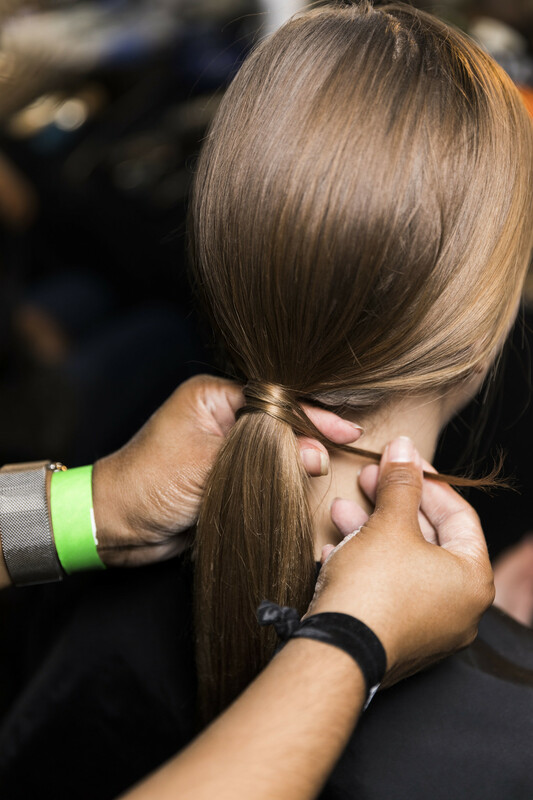 “To achieve a more put together pony, take a small piece of hair from underneath the ponytail and wrap it around the elastic. Then pin in place. 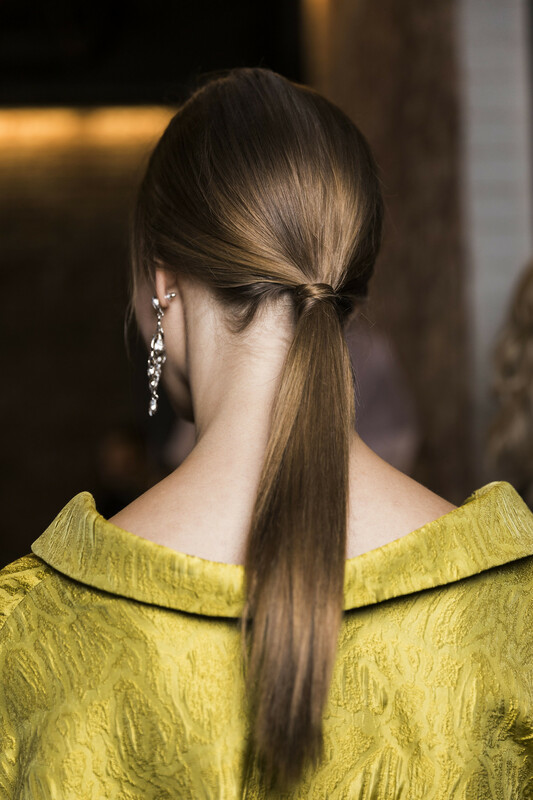 This technique conceals the elastic from view,” says Tippi.